As Mike (Michael Brandon) and Susan’s (Bonnie Bedelia) wedding approaches and Mike experiences cold feet, their friends and family members struggle with relationship issues of their own. Based on a play by married writing team Renee Taylor and Joseph Bologna, this ensemble romantic comedy (featuring the Oscar-winning song “For All We Know”, popularized by Karen Carpenter) still retains much of its charm and relevancy. Shifting between numerous serio-comic storylines — all focusing on the challenges inherent in either initiating or maintaining a romantic relationship — it features a host of fine performances by both little-known actors (i.e., Marian Hailey, whose film career went nowhere) and actors who would shortly make bigger names for themselves (i.e., a baby-faced Diane Keaton in her film debut). The film nicely infuses humor into such weighty issues as divorce, sexual dissatisfaction, and infidelity; and while some subplots are (naturally) more satisfying than others, all seem crafted with care. Bedelia is lovely as the bride-to-be who knows exactly how to handle her nervous groom; we sense that this couple will stick it out, and their interactions serve as an effectively grounded counterpoint to the rest of the movie. The most blatantly comedic storyline follows a horny friend-of-the-groom (Bob Dishy) determined to “score” with the bride’s ditzy cousin (Hailey); their cat-and-mouse courtship offers some giggle-worthy surprises. Bea Arthur and Richard Castellano are note-perfect as the devout Catholic parents of Brandon and Joseph Hindy; their deep distress and bafflement at the dissolution of Hindy’s marriage to Diane Keaton is sensitively handled. 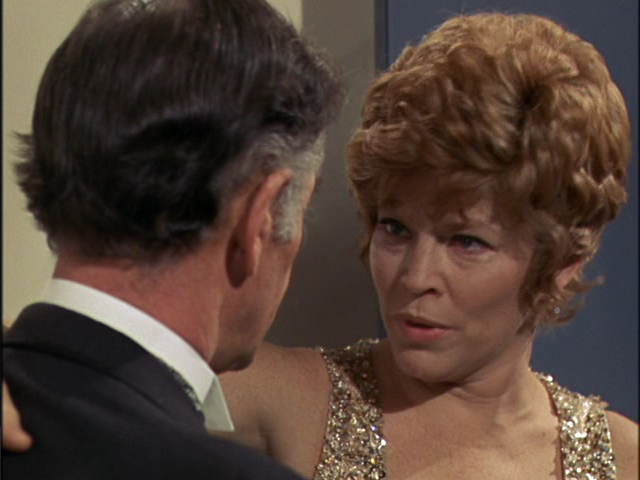 Much less humorous (and not given enough screentime) is the depiction of an ongoing affair between the father of the bride (Gig Young) and a family friend (Anne Jackson); this scenario ultimately comes across as simply tragic in its inevitability. 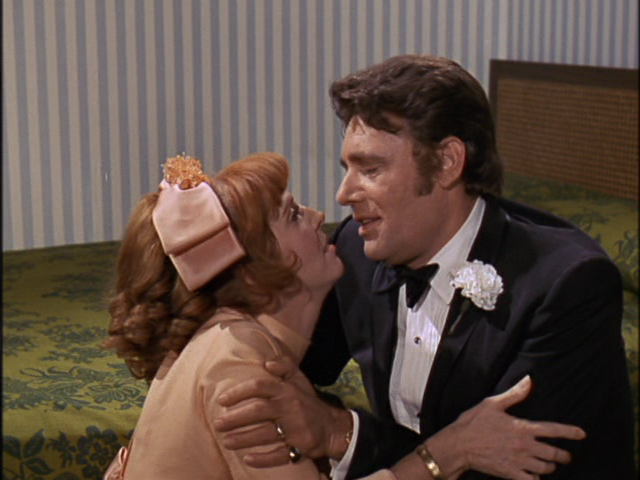 The most dated subplot — though it still packs a disturbing punch in its own way — shows Anne Meara’s happily married but sexually neglected housewife attempting to assuage her insecure husband (Harry Guardino). 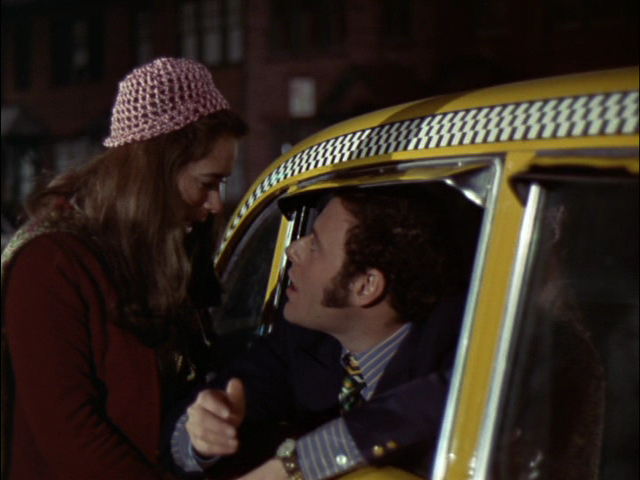 Note: Taylor and Bologna’s follow-up film was the 1971 sleeper Made For Each Other, which deals in an even more brutally incisive fashion with relationship issues; they would make an interesting, emotionally loaded double-bill. No, but it’s recommended. Listed as a Sleeper in the back of Peary’s book. Like their 1971 follow-up, ‘Made For Each Other’, this is another must from writing team Taylor and Bologna. 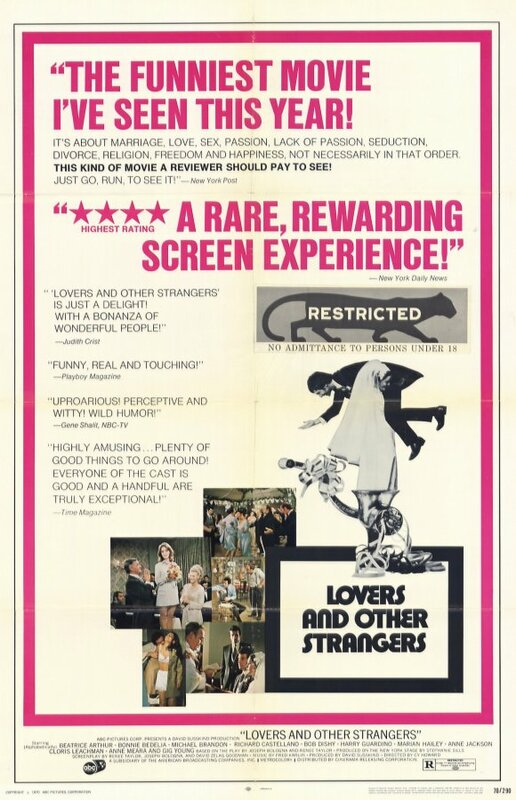 40+ years on, ‘Lovers…’ is still consistently funny (sometimes savagely so, because so much truth remains in it). It’s marvelously constructed: the first half introduces us to (most of) the various couples and what their relationships are based on – then comes the wedding, which throws all the couples together (completing the final one when Keaton finally enters) for a kind of showdown. Who will survive? Part of the brilliance of the script is that it throws it all out there: it features the gamut of relationships, everything from those just starting out dating or getting married through to infidelity, divorce, those struggling to hold things together, and those resigned to what really gives marriage longevity (even as it calls into question what longevity means). Throughout, we’re often not sure whether we should be laughing or not. Partly because all of the relationships are infused with, on some level, a keen sense of the ridiculous. And that is not a cheap shot. As we all know, all too often, relationships *are* infused with a sense of the ridiculous – the writers know this all too well and they know that their audience knows this. 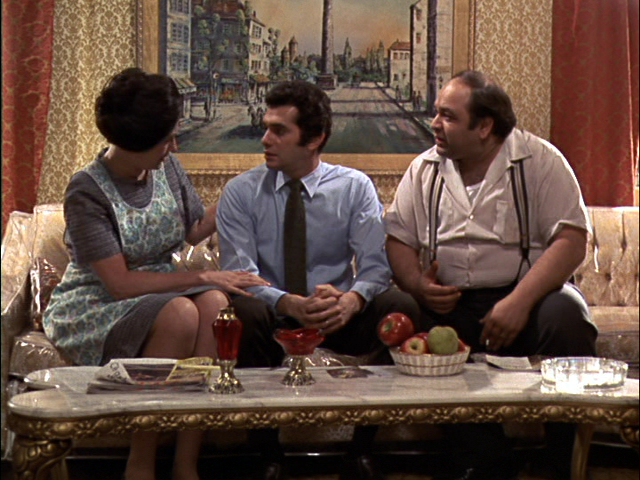 So we get a mixture: love here is taken just as seriously as it is lampooned. And it works. Hailey: That’s what Monica Vitti said in ‘L’Avventura’.